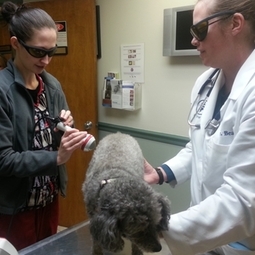 Laser Treatment - Anne Arundel Veterinary Hospital, Inc.
Laser therapy can be used for acute conditions including: wounds, allergies, infections, surgeries, cuts/bites, tooth extraction, sprains and fractures. Laser therapy can also be very effective with chronic conditions including: Arthritis, Tendonitis, Hip Dysplasia, Lick Granulomas, Inflammatory Bowel Disease, and more. Ask your vet if laser treatment could benefit your pet!